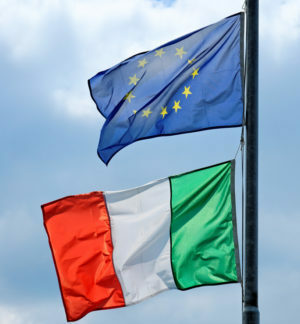 What future for Italian political parties? Jointly with VoteWatch Europe we compared voting behaviour of the Italian political parties in the European and in the Italian Parliament. You can read the research on our blog on Medium. We also realized two interactive maps showing the key votes we analyzed in the study. Each dot on the map represents the voting positioning of an MP in the set of 20 key votes. two MPs who voted in the same way in many of the 20 votes are then close on the map. The size of each dot is proportional to the percentage of participation of the MP in the 20 roll-call votes. Move the mouse over the dot to see the name of the MP.